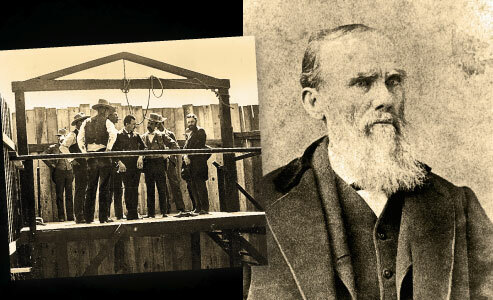 The Rise of the Toughest Texas Ranger The Texas Hill Country Life that shaped Frank Hamer into the greatest American lawman of the 20th century. 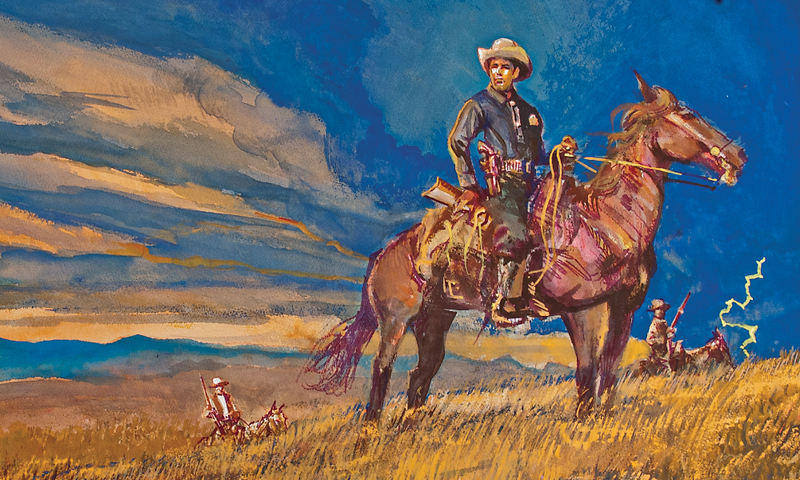 Ranger Frank Hamer made a name for himself along the U.S.-Mexico border in West Texas where he rode and fought hard. Texas bred tough men, and none came any tougher than Frank Hamer. He was to the Lone Star State what Wyatt Earp was to Arizona and what Wild Bill Hickok was to Kansas. His iron strength was hammered on the anvil of his father’s blacksmith shop. His iron will was molded in 40 tumultuous years as a peace officer. His iron character was honed by his struggles against horseback outlaws, Mexican smugglers, the Ku Klux Klan, corrupt politicians, the Texas Bankers Association and Lyndon B. Johnson. His iron courage was forged in the flames of 52 gunfights with desperadoes. In an era when crooked police were a dime a dozen, he could not be bought at any price. He was the greatest American lawman of the 20th century. Hamer was a son of the Hill Country, that undulating expanse that stretches through central Texas from the Balcones Escarpment north and west to the Edwards Plateau. In the 1840s-50s, settlers from the mountains of Missouri, Arkansas and Tennessee poured into the Hill Country, long the domain of Apaches and Comanches. Their battles against Indian raiders would, for generations to come, help define the character of Texans as fierce and unrelenting warriors. After the Civil War, the Hill Country became consumed by local violence. With fewer Indians to fight, Texans had turned on each other. During the 1870s, Texas was wracked by infamous vendettas, such as the Horrell-Higgins feud in Lampasas County, the Mason County War and, most notably, the Sutton-Taylor feud, the longest and bloodiest of them all. It lasted 30 years and left at least 78 men dead. Notions of personal honor, coupled with an armed citizenry, excessive drink, lack of strong law enforcement and a belief that social problems were best solved by individuals instead of government, all contributed to the plethora of feuds in frontier Texas. These concepts and conditions continued into the 20th century. The Hamers were relative newcomers to Texas. In 1874, Frank’s father enlisted as a private in the U.S. Army in Pennsylvania and was assigned to the 4th U.S. Cavalry, stationed in Fort Clark, Texas, commanded by Col. Ranald S. MacKenzie and assigned to stop raids by Comanches, Apaches and Kickapoos from their hideouts in northern Mexico. Born in Fairview on March 17, 1884, Frank inherited from his father a dry, sardonic wit and learned to speak in colorful and sometimes profane language. His father’s heavy drinking was an attribute that the eldest son, Estill, inherited, and that Frank was careful to avoid. Frank’s most vivid memories as a young boy involved his maternal grandfather, L.J. Francis. The old man, a jagged scar down the side of his face, regaled the youth with stories of his adventures on the frontier. In 1840, at age 22, he had accompanied an overland trade caravan from Texas to Chihuahua in northern Mexico. The traders were set upon by Indians, who killed seven of the party before shooting Francis in the head with an arrow. He was captured and almost killed, but soon escaped. In later years, he became a Presbyterian minister, and young Frank was inspired to follow his grandfather’s religious life. Most rural Texas families owned but one book, the Bible. Frank was then not much of a reader, but in addition to the Bible, he devoured Josiah Wilbarger’s Indian Depredations in Texas. The 1889 book was hugely popular among Texans, for it detailed how their ancestors had wrested the country from wild Indians. Hamer was fascinated by the tales of Comanche fights and Texas Rangers. But instead of being inspired to emulate the Rangers, the youth was most impressed by the underdogs—the Indians. “I made up my mind,” he later recalled, “to be as much like an Indian as I could.” His admiration for the underdog and his concern for those too weak or too outnumbered to protect themselves molded his character. That 1890s America—of Frank Merriwell, knickerbockers and celluloid collars, of baseball, pretzels and beer, of tripping the light fantastic with Mamie O’Rourke—was utterly foreign to young Hamer. Instead, his boyhood in the Texas Hill Country was firmly grounded in the Old West. His heroes were not John L. Sullivan, Gentleman Jim Corbett, Cy Young or Christy Mathewson—they were Capt. Jack Hays of the Texas Rangers, 4th Cavalry Col. Ranald MacKenzie and the Comanche war chiefs Buffalo Hump and Quanah Parker. While working as a sharecropper for Dan McSween at a ranch along Spring Creek in 1900, Hamer had his first brush with death. After the 16 year old refused to kill a local rancher for McSween and warned the marked man of the danger, McSween shot the youth in the back and left side of his head on June 12. Though Hamer plainly did not possess modern-day notions of ethnic sensitivity, he never forgot the black man who helped save his life. Hired to help drive a remuda of horses to a buyer in San Angelo, Frank and the other herders were regaled with tales of quick money by an older hand. He explained how they could easily hold up a bank and escape into Mexico where they could use the loot to start their own ranch. In 1905, Frank hired on at the Carr ranch, located between Sheffield and Fort Stockton. When two horses were stolen, Frank took the trail alone and, for several days, followed the meandering tracks eastward. Finally, he closed in on two riders. Dropping into a gully, Hamer circled around in front of them, leveled his Winchester and took the thieves by surprise. Hamer delivered his prisoners to the sheriff of Crockett County and returned the stolen mounts to his grateful boss at the Carr ranch. Hamer had tasted his first manhunt, and it was exhilarating—just like hunting animals, but far more exciting and dangerous. The adventure, the adrenaline rush from taking his men alive and the sense of pride and accomplishment in outwitting the horse thieves overwhelmed him. He wanted more of the same, and he would get it. Hamer was far too bright to be satisfied with the simple life of a drover. 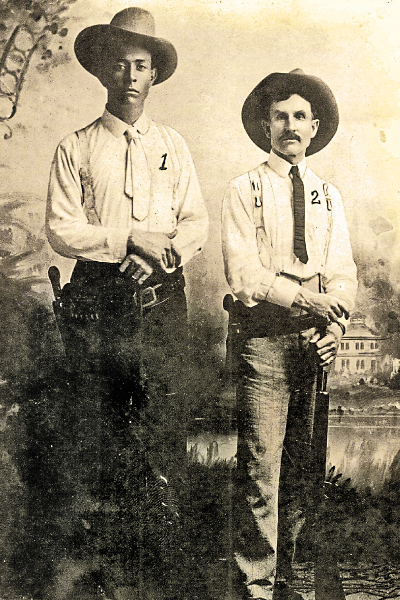 Frank Hamer (at left) stands with veteran Texas Ranger Oscar Latta in 1908, the year they investigated the murder of stockman Aaron Johnson near Geneva, Texas. They outwitted a mob and got their murderer, Robert Wright, convicted and legally hanged. One night in October 1905, he overheard a call from Pecos County Sheriff Dudley S. Barker in Fort Stockton. Barker was asking his former deputy, Charlie Witcher, to intercept a horse thief who was headed that way on a stolen mount. Hamer knew the horse thief wouldn’t reach the Carr ranch until daybreak. The only water on the route was at the Carr windmill, and Hamer was sure the rider would have to stop there to water his horse. He awoke at 3:00 a.m., buckled on his gunbelt and six-shooter, saddled his mount and, with Winchester in hand, rode out to the windmill. At daylight, when a stranger dismounted, Hamer placed him under arrest. Within moments, the horse thief was back in his saddle, headed toward Fort Stockton, with Hamer following 20 feet behind. “You let me take care of that,” replied the sheriff. Barker, 31, had served three years as a Texas Ranger and achieved repute for his role in breaking up the San Saba Mob in 1896. He recognized a good Ranger recruit when he saw one. Soon after, John H. Rogers, captain of Company C, instructed Sgt. Jim Moore to have Hamer report for duty in Sheffield. At that time, Company C was headquartered in Alpine, in the Big Bend Country, 70 miles southwest of Fort Stockton. In keeping with the state’s failure to adequately fund the Rangers, Moore’s detachment did not have housing. The lawmen slept outdoors, four miles outside of Sheffield, in canvas Army tents and cooked on open fires. 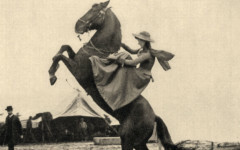 In mid-April, Hamer rode into the Ranger camp looking for Capt. Rogers. But the captain was busy at his headquarters in Alpine, so Frank loitered about the camp, getting to know Sgt. Moore and Pvt. E.S. McGee. Moore was an experienced Ranger, having served five years under Capt. Rogers before being promoted to sergeant in 1905. McGee had been a Ranger only seven months, and Capt. Rogers had become dissatisfied with his performance. 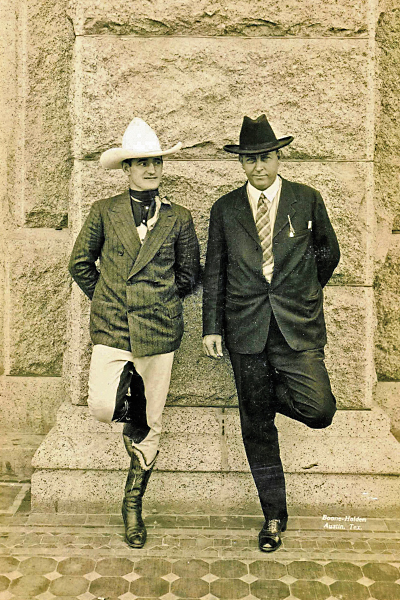 Tom Mix and Frank Hamer lean on the Capitol in Austin, Texas, in 1927. The two were polar opposites—Mix, a flamboyant, talkative cowboy actor; Hamer, a quiet, modest real-life cowboy—but became fast friends. On April 15, the Rangers got a report that a Mexican had taken a horse “for the purpose of forcing the collection of a debt without any authority of law.” McGee and Hamer started in pursuit and quickly caught their man. On April 21, Capt. Rogers arrived in Sheffield to interview the gangly young recruit. Rogers, impressed by Hamer’s volunteering to help the Rangers, was soon satisfied with Barker’s recommendation, and Hamer took the Texas Ranger oath. Every red-blooded white boy in the Southwest dreamed of being a Texas Ranger. The new recruit, just 22, was bursting with pride. Though his enlistment had been entirely coincidental, he was a Ranger born. His rugged life in the saddle had steeled him against hardship and privation. His massive size, physical power, superb marksmanship and raw courage melded to create a deadly adversary. A deep religious faith imbued in him strong notions of right and wrong. His lonely years in the wild country had made him so independent and self reliant that he cared little for what others thought of him. His natural curiosity, his quick, analytical mind and his near-photographic memory would mold him into a brilliant detective. Quiet and humble, rigid and unyielding, Hamer began his long ride into the halls of Texas legend and lore. This edited excerpt is from Texas Ranger: The Epic Life of Frank Hamer, the Man Who Killed Bonnie and Clyde, by John Boessenecker. 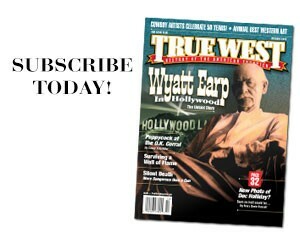 The author of numerous Old West tomes, this book is his most recent, published this April by Thomas Dunne Books. 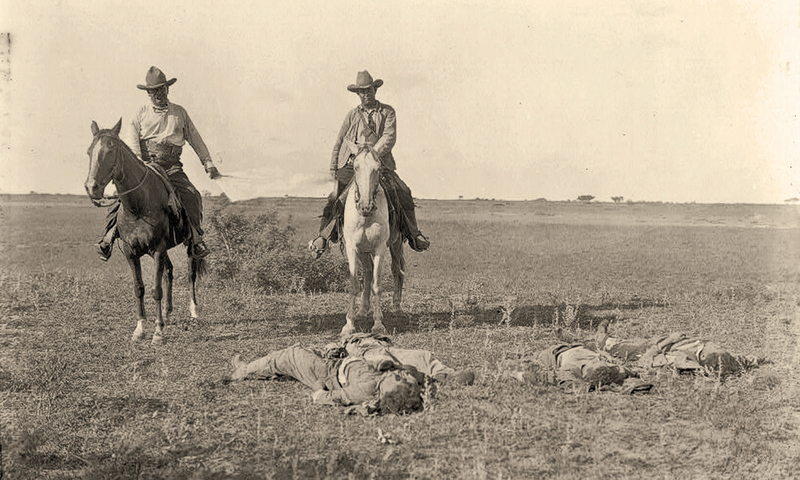 Frank Hamer, below right, poses with dead raiders at the Norias Ranch near Kingsville, Texas, on August 9, 1915. The Ranger on the left appears to be Jim Dunaway. They are holding the captured battle flag between them. This battle was among those fought on American soil during the Mexican Revolution. 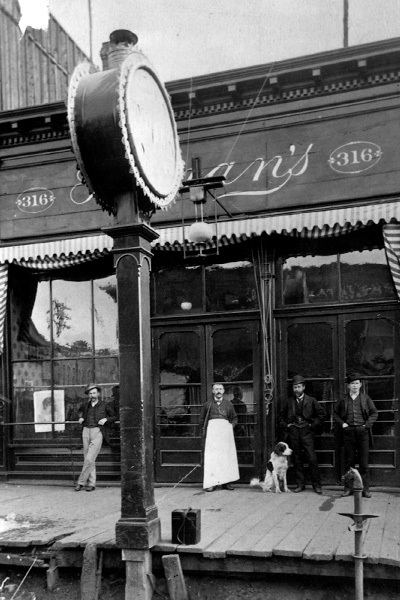 The Leadville Years The predictions about Leadville’s climate proved all too true, and Doc, who had regained some of his youthful vigor in Arizona, began to feel the toll of his worsening tuberculosis.